This is all set to change in 2015 when Freescale, a chip manufacturer that specialises in wireless charging technology, aims to release a quick charging unit. 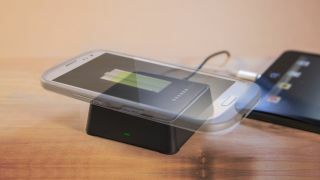 The new wireless charging unit will be able to charge devices at 15 Watts, which would make the unit able to potentially charge devices up to three times faster. A phone with a 4000mAh battery would be able to be charged in only a couple of hours – a big step up for wireless charging. While wireless charging is becoming increasingly common in smartphones, tablets have been left unloved by the technology. This is due to the current charging rate of 5 Watts causing charge times to be too slow for the larger devices. Freescale's 15 Watts wireless charging technology should mean that wireless charging is now a viable option for tablets and other larger devices. It looks like 2015 is shaping up to be an important year in wireless charging technology.